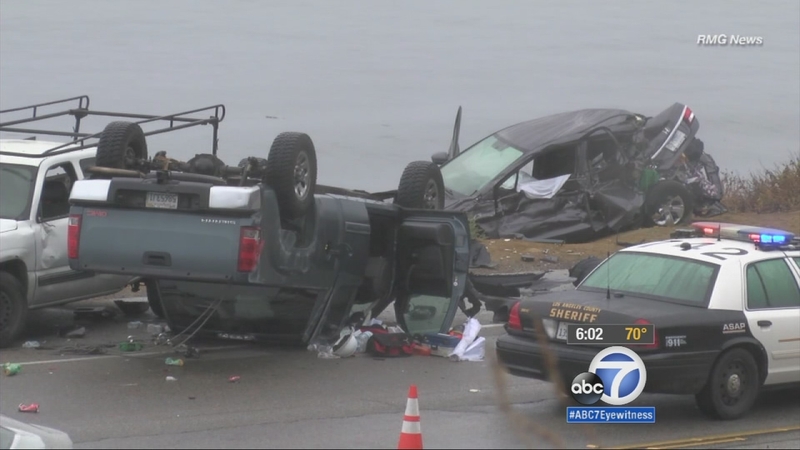 MALIBU, Calif. -- Authorities have identified the man killed in a suspected drunk driving crash in Malibu as popular 90s rapper MC Supreme, best known for his 1990 single "Black In America." Dewayne Lawrence Coleman, 47, also known as MC Supreme, was sitting with a woman in his parked Honda Civic along Pacific Coast Highway when a pickup truck slammed into his vehicle on Saturday morning. Coleman's sedan rolled over onto an embankment above the beach. Coleman was pronounced dead at the scene and the female passenger was taken to a hospital with unknown injuries. After hitting Coleman's car, the pickup truck flipped over and struck another parked vehicle. The two people inside that vehicle were not injured. The driver of the pickup truck, identified as 34-year-old Philip Torres II, sustained minor injuries and was arrested on suspicion of vehicular manslaughter and DUI. The cause of the crash remains under investigation. Anyone with further information was urged to contact Malibu/Lost Hills Sheriff Station traffic investigators at (818) 878-1808.